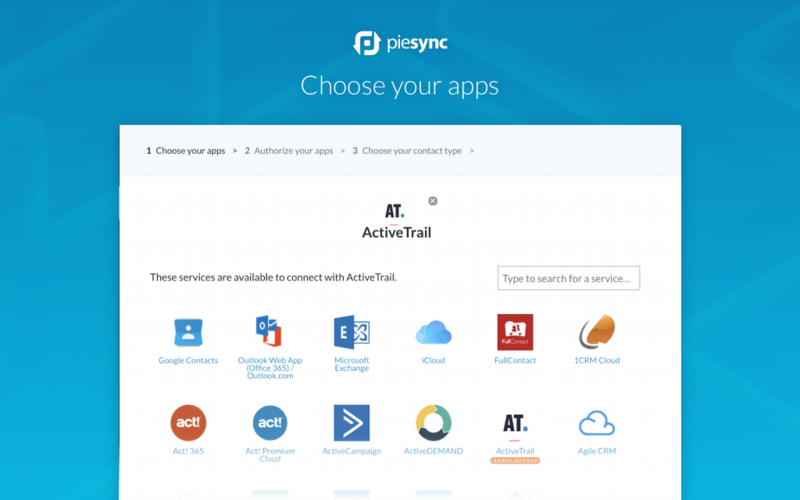 PieSync provides a perfect bridge between business applications to sync contact and/or lead between cloud-based apps, solving your isolated data problems. You can personalize your synchronization by choosing which type of contact or lead to sync on PieSync and how. With PieSync you can connect over 140+ applications to ActiveTrail without the need of a developer. Applications are added every week so you can focus on your business while PieSync does all the data management for you. Surface relevant customer details from your customers and sync them 2-way all across your SaaS stack. 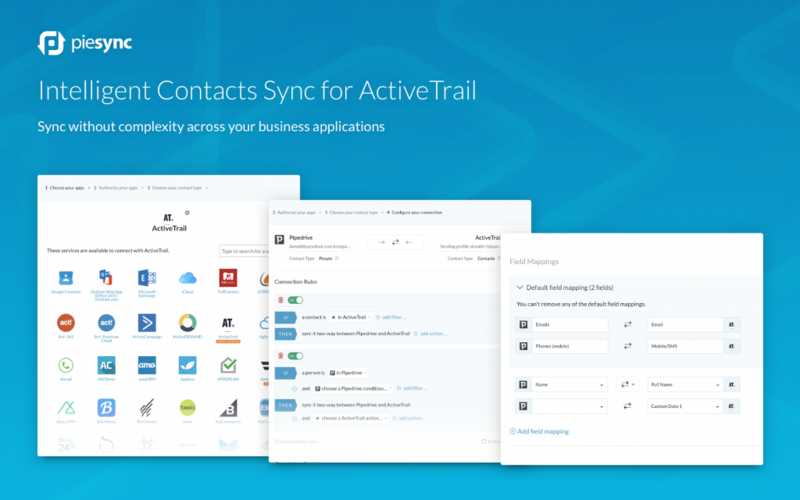 Use PieSync to sync your contacts data seamlessly into existing databases, never overwriting data, only enriching it. 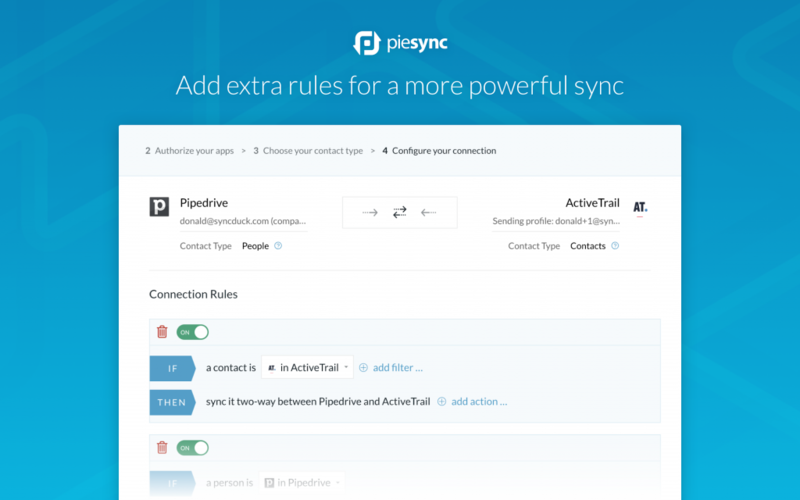 PieSync is a bidirectional sync that allows you to create and/or update contacts in all your applications to prevent data loss. The intelligent syncing engine gives the end-user the power over its data by using intuitive if-then conditions to make sure you have the right data in the right place. In comparison with trigger-based action that only manages new data, PieSync does also manage existing and historical data. 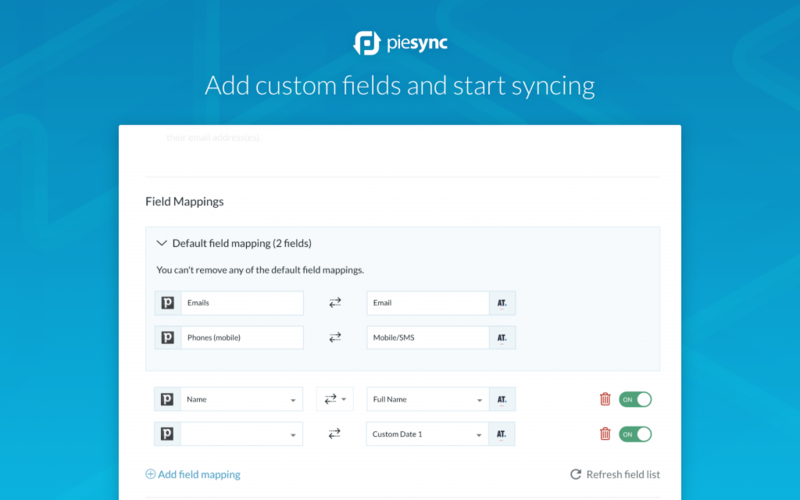 The PieSync platform is a powerful but simple solution to set up. As an end-user, you don’t need to have any programming experience to set up a two-way sync between your business applications.